You'll be £14.99 closer to your next £10.00 credit when you purchase Korea - The Ground War from Both Sides. What's this? The Korean War opened with the invasion of South Korea by the North Koreans in June 1950. This superbly illustrated book traces the wildly fluctuating fortunes of both sides during three years of intense combat. The South Koreans were initially saved from defeat by the arrival of the American and UN forces under General MacArthur but the success of his offensive brought in the Chinese, who undetected by the Allies, counterattacked with over a quarter of a million men of the Peoples Volunteer Army. Once again the Allies fell back and a stalemate developed. No peace treaty was ever signed. In true Images of War style, the story of this all-too-often neglected conflict, fought in appalling weather and over unforgiving terrain, is told using superb rare photographs with explanatory captions and informative text. The images graphically portray the brutal nature of the conflict, where neither POWs nor civilians were safe. Both the United Nations and Communist (North Korean/Chinese) perspectives are covered. The Korean War was arguably the last major war fought outside the glare of the media and the photographs in this fine book give a unique insight into the conflict. 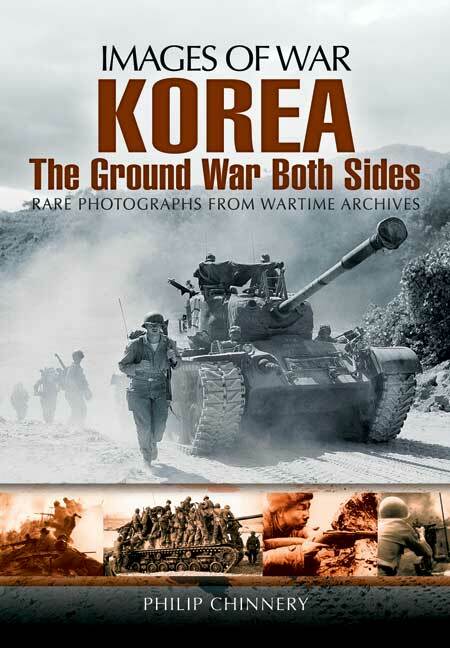 This is an excellent entry in the Images of War series and a good photographic guide to the Korean War, illuminating the first major conflict after the end of the Second World War.